This is one headphone you have to try for yourself in order to believe. We started with our now famous Original Gray Ghost headphone and added all the custom enhancements our customers have been requesting most. 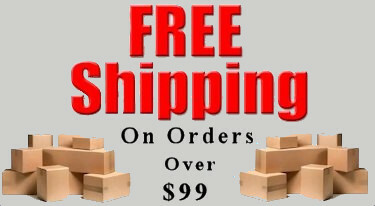 Now you to can have the ultimate sound quality made possible by special speaker elements in a tuned cavity design. 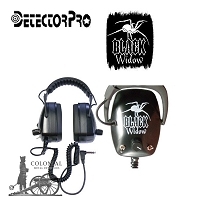 This design means greater sensitivity to tiny targets and more raw power at full volume. The Original Gray Ghost's switch has been removed in favor of more durable push-buttons in shielded locations by the main strain relief. Our special limiter circuit gives you a smooth reduction at excess volume levels, not like our imitators’ noise-inducing clipping effect, and our limiter can be disabled with the touch of a button. Additional new features are an industrial grade nylon 6/6 strain relief at a new neck-hugging angle. This reduces stress on the cable and helps it fall closer to your body for fewer branch snags in the most rugged terrain. 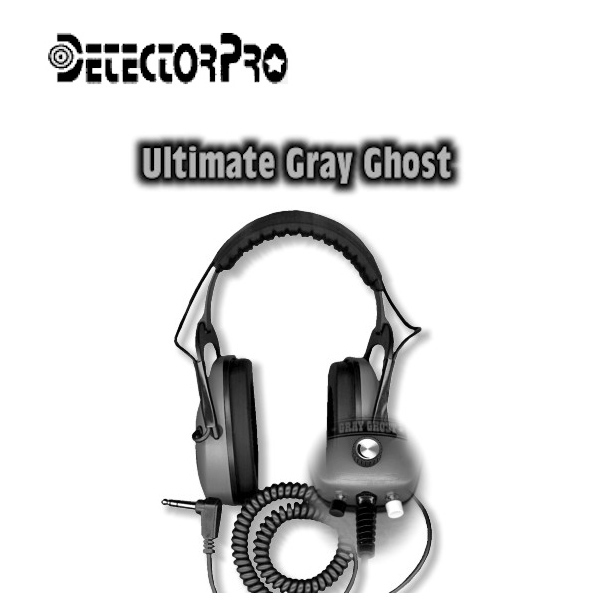 Try one and we are sure you will agree that no one has ever built a metal detector headphone anywhere near this clear and this sensitive with as many features as the Ultimate Gray Ghost.